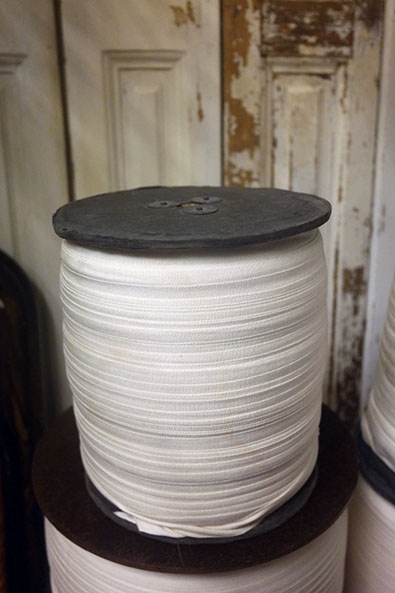 A very large old spool with white cotton tape. 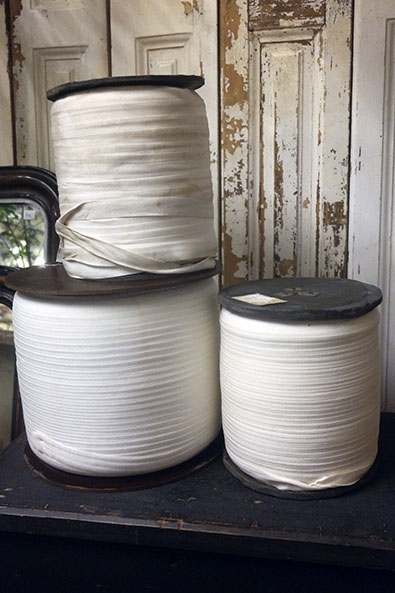 Great for decoration or use, the tape is in excellent condition, very clean. Measures approx. 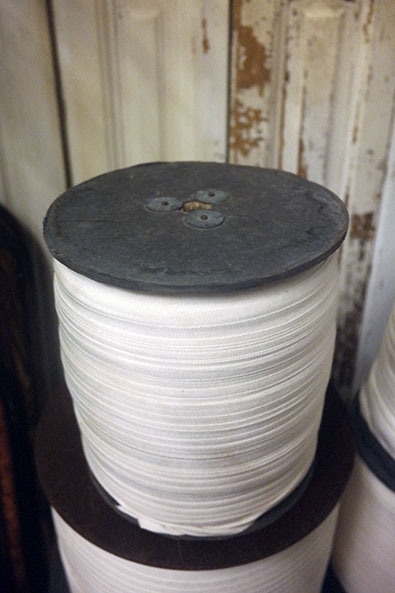 22,5 cms tall and 19,5 cms in diameter.